A groundbreaking fantasy novel, The Wood Beyond the World tells the story of a young man, Golden Walter, who finds himself in a strange and frightening world after being abandoned by his wife and lost at sea. The novel takes the form of Walter's quest for the visionary Maid that he sees at the beginning of his journey, and takes him from his failed marriage through temptation to emotional fulfillment. Set in Morris's imaginative recreation of a medieval world, the novel is full of vivid imagery and surprising emotional realism. 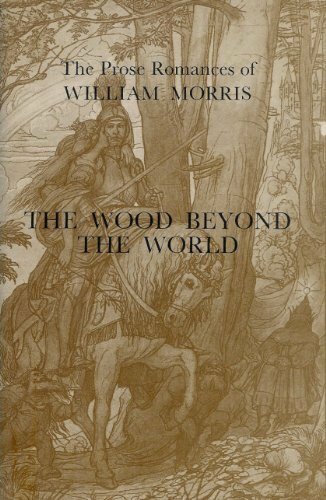 Combining the ancient tales of northern Europe he loved so much with folk tales and writing them as a modern novel, William Morris (1834-1896) pioneered modern fantasy literature and influenced books such as J. R. R. Tolkien's The Lord of the Rings. One of the most significant English works on the theme of utopia, the tale of William Guest, a Victorian who wakes one morning to find himself in the year 2102 and discovers a society that has changed beyond recognition into a pastoral paradise. King Peter's sons thirst for adventure and the King agrees that all except Ralph may go forth. But Ralph secretly makes his way to Wulstead, and here learns about the Well at the World's End, beginning a journey which will eventually lead him there. Morris unveils with a poetic command of the English language and a sure knowledge of the Medieval world a fantasy of courage and love -- of a hero with a magical sword, a land of dwarves, and a romantic divide, which is the flooding tide itself.